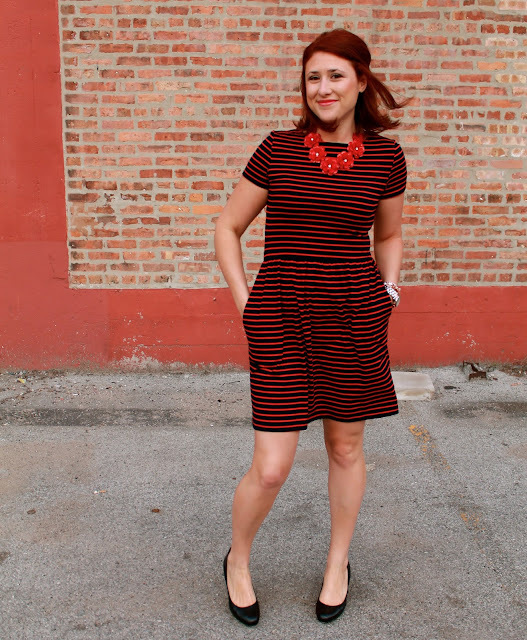 HOT PINK style: Giveaway: J. Crew 'Inspired' Rosebud Necklace! I am so very excited to announce HOTPINK style's very first ever giveaway! One of you, my lucky readers, will win your very own free-of-charge J. 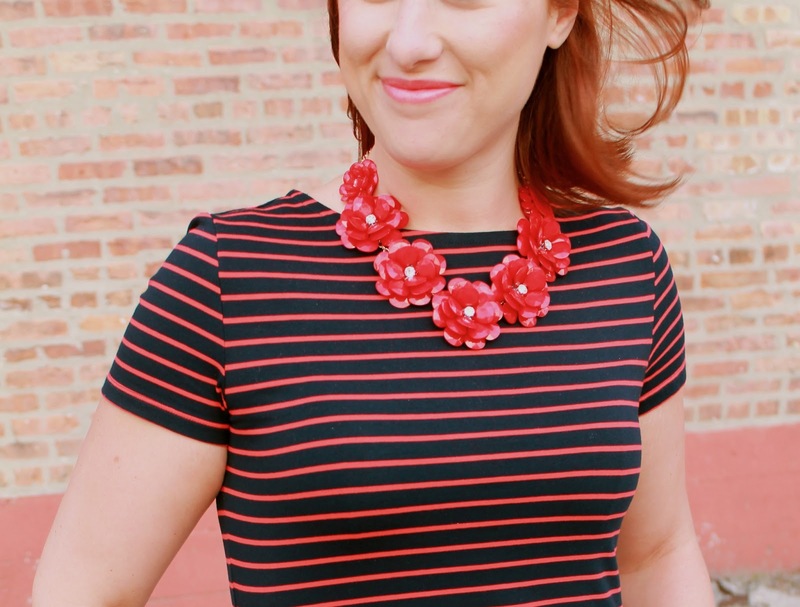 Crew 'inspired' rosebud necklace from my friends over at Silver Linings Shop! Check out how to enter below the links at the bottom. 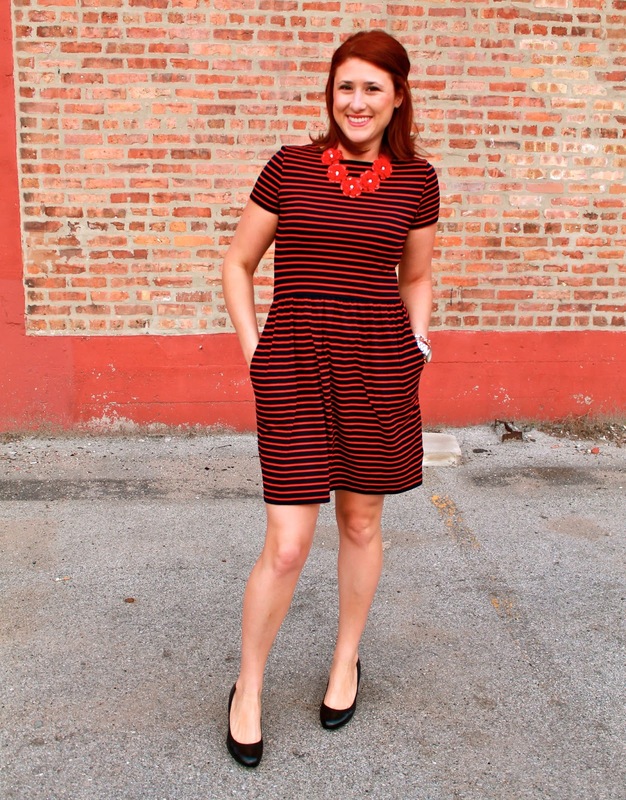 It's so bold and makes quite a statement paired with something as simple as this striped dress you see here! If this necklace wasn't enough, they also have the super popular J. Crew 'inspired' "fan fringe" necklace in many colors too! And guess what? All my readers get 25% off their whole order with code HOTPINKFAN! *Winner will be announced next Wednesday! 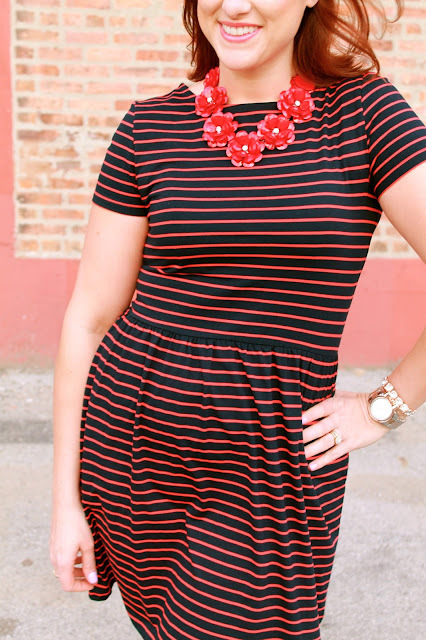 I would pair this necklace with a red & black maxi skirt I just purchased! Black skinnies and a white v-neck! I love this necklace!